at-risk children & families in our community. We support students, families and teachers through our partnership with Pinewood Elementary and support immigrant children and families by partnering with Refugee Support Services. You can join us as we support children and families through the opportunities listed below! Have a question? Connect with us at info@southparkchurch.com or 704.366.9166.
and start equipping them to take the next step in their education. 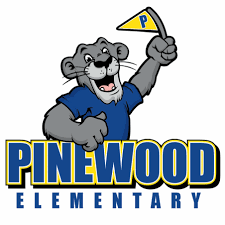 The vision of Pinewood Elementary, a Title I school, is to create a positive, respectful, learning environment in which students, families, staff and communities collaborate in order to promote lifelong learners that set goals and strive to achieve them and focus on nurturing children’s spirits as they can learn and grow. SouthPark Church strives to support Pinewood students, families and teachers. Serve as a Reading or Math Buddy, Classroom Assistant, reshelve books, help with book fair, help in the school office or clothing closet, bless teachers with school supplies, gift cards, and snacks, and provide Christmas gifts for identified children in need. Each week 10-20 backpacks are filled with food to provide two lunches, breakfast and snacks for children in need of food over the weekend. Volunteer to help pack weeklybackpacks once a month or make financialgifts to Pinewood Backpacks to help fill backpacks with food. Each year, approximately 600 refugees arrive in Charlotte from over fifteen different countries but a majority of the refugees arrive from Bhutan, Burma, Ethiopia, Afghanistan, Kuwait, Sudan and Vietnam. You have the opportunity to help them feel welcome! The mission of Refugee Support Services is to facilitate programs and intercultural relationships that promote refugee self sufficiency and enrich our community. RSS helps newly arrived refugees make Charlotte their new home. RSS supports refugee families in their goal to achieve self-sufficiency through programs and education that empower them to thrive in the US, post resettlement from 3 months for as long as needed. Refugee Support Services has many ways that SouthPark Church volunteers can help right here in Charlotte. There are a variety of ways to volunteer in the HELP Center such as an English Buddy, provide snacks, help in parking lot, be a play school volunteer, driver for refugee appointments, knit and talk with refugees, or learn about being a Fruitful Friend. You can also help with occasional SouthPark Church sponsored events to support refugees. You can participate in a 101 Refugee Class to learn more about refugees & volunteer opportunities and take a tour of their facility. Click the link below to find out how to learn more about how you can make a difference in the lives of refugees right here in Charlotte.